You may feel annoyed when you have a notification that can't be removed from the notification list that you have dragged from the top of your phone. 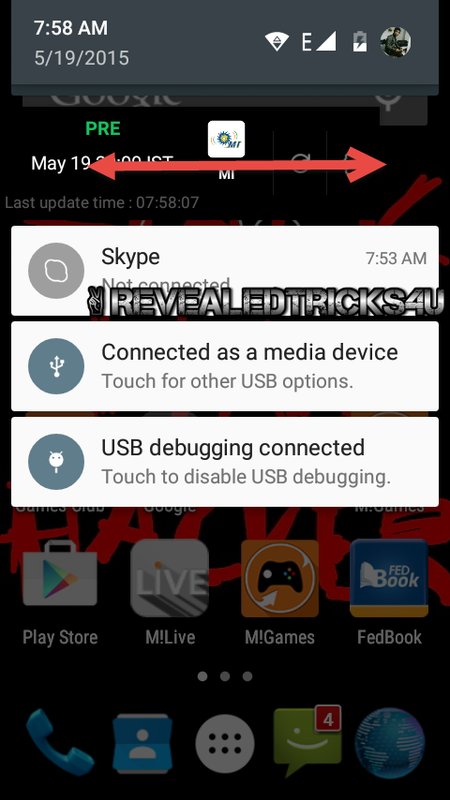 The circumstances which this happens,when you try to install a game or any application that you have loved but it may filled with Advertisements may or may not be an ongoing notification. It is just like an ordinary notification box which shows up in the list of the notifications when you drag from the top part of the screen. As you can see on the above picture.I have dragged from the extreme left to the right trying to remove the notification from the list,but it can't be removed,this is what known as ongoing notification. Mainly ongoing notifications are used in real time application.Such as live cricket scores,live status updates,real time news updates,etc. 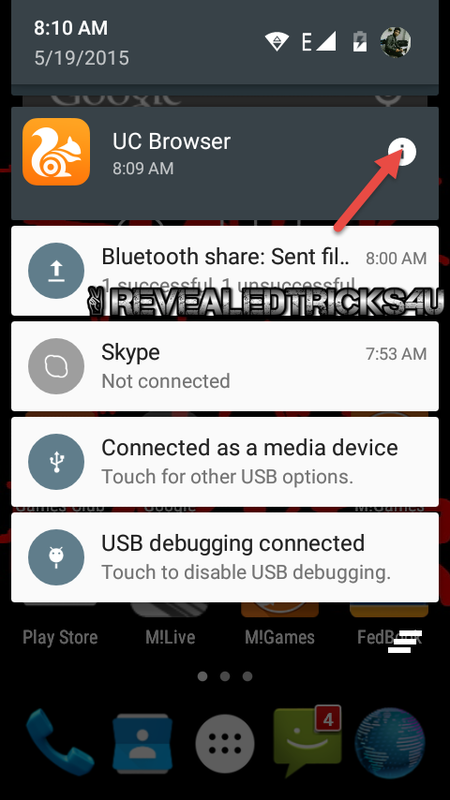 Steps to remove this adamant ongoing notification from the notification list. In this case i preferred to remove an ongoing notification shown by the UC Browser for Android application,which shows up live cricket scores.I never hate this live ongoing notification :).Just for an example. Go and long click the notification that you want to remove from the list.Then click on the properties icon,like shown in the below picture. 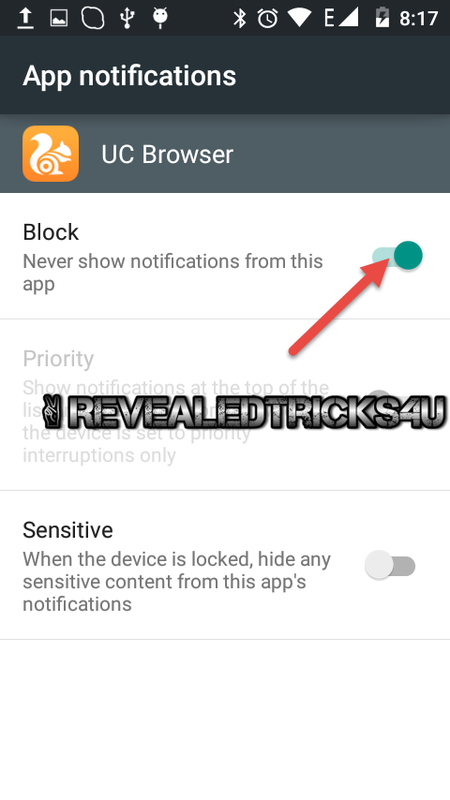 In the App Notifications screen.You need to enable the item which holds the title Block(Temporary blocking). Now the ongoing notification magically disappears from the notification list. Now press the Back button.And disable the Block item. But this will permanently blocks any notifications from the specified application.If you forget to do the last step or just accidentally closed the window. So for getting notifications in the future. 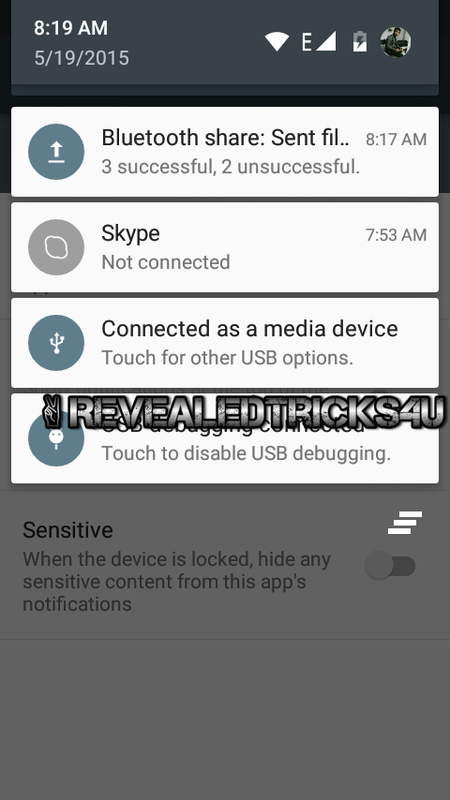 Goto Settings>Apps>Select the specified app>Enable Show notifications.That's it,you will receive notifications from the specified application. Any queries or help please use this lonely comment box for reaching me. very useful information............keep posting such an important Tricks & Techniques.